Acrylic on Watercolor Board - 24" x 17"
When doing a cover for an anthology, Michael usually just had to come up with an image that communicated the underlying theme tying the stories together, and then run with it. This was the first cover painting in which he deliberately used a symbolic element not taken from any story: the moon is the symbol*and source? of feminine spirit and strength. 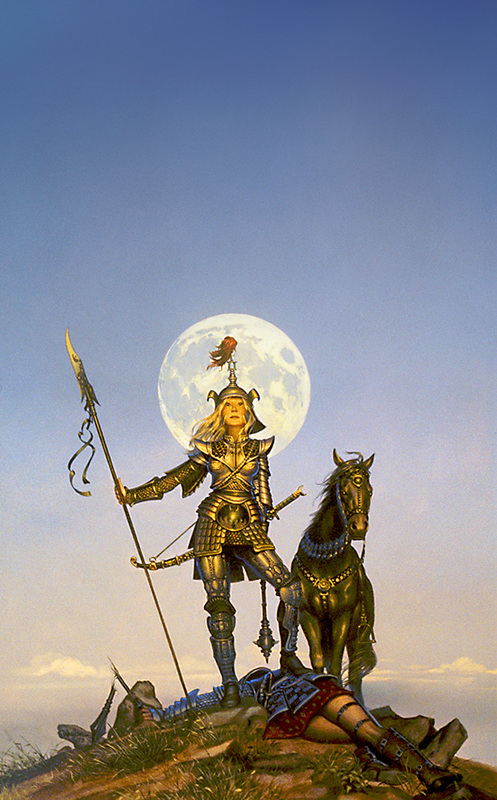 Amazons have always been with us in legend and history--and it is the amazons of the imagination we meet in this unique anthology. 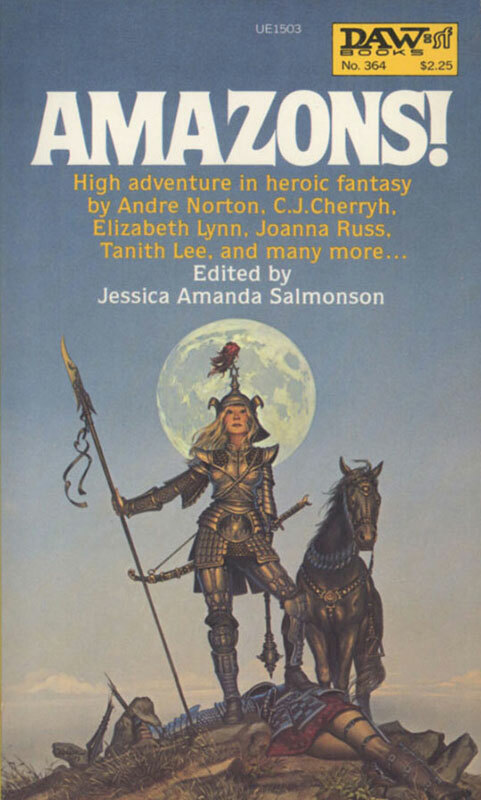 Here are the writers whose novels have placed them among the leaders in fantasy who have written for this volume original and exciting adventures of women who dare to pick up the sword and go a'venturing.